Fidel Alejandro Castro Ruz is a Cuban revolutionary and politician, having held the position of Prime Minister of Cuba from 1959 to 1976, and then President from 1976 to 2008. 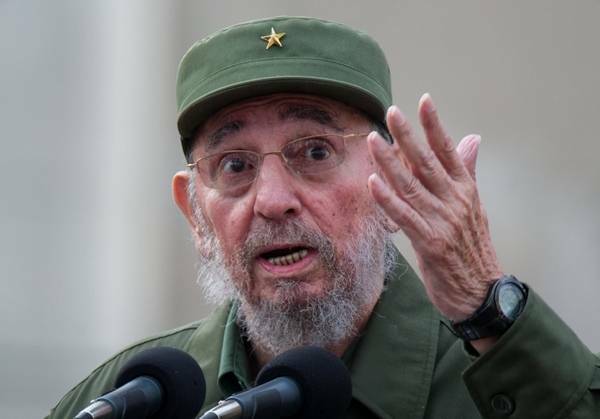 He also served as the First Secretary of the Communist Party of Cuba from the party’s foundation in 1961 until 2011. Politically a Marxist-Leninist, under his administration the Republic of Cuba was converted into a one-party socialist state, with industry and business being nationalized under state ownership and socialist reforms implemented in all areas of society. On the international stage, he also served as the Secretary-General of the Non-Aligned Movement from 1979 to 1983 and 2006 to 2008. 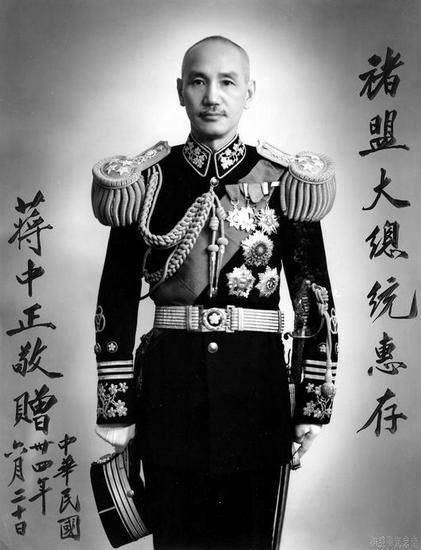 Chiang Kai-shek was a political and military leader of 20th-century China. Chiang was an influential member of the Nationalist Party, the Kuomintang (KMT), and was a close ally of Sun Yat-sen. He became the Commandant of the Kuomintang’s Whampoa Military Academy, and took Sun’s place as leader of the KMT when Sun died in 1925. In 1926, Chiang led the Northern Expedition to unify the country, becoming China’s nominal leader. He served as Chairman of the National Military Council of the Nationalist government of the Republic of China (ROC) from 1928 to 1948. Chiang led China in the Second Sino-Japanese War, during which the Nationalist government’s power severely weakened, but his prominence grew. Unlike Sun Yat-sen, Chiang Kai-shek was socially conservative, promoting traditional Chinese culture in the New Life Movement and rejecting western democracy and the nationalist democratic socialism that Sun Yat-sen and some other members of the KMT embraced in favor of a nationalist authoritarian government. 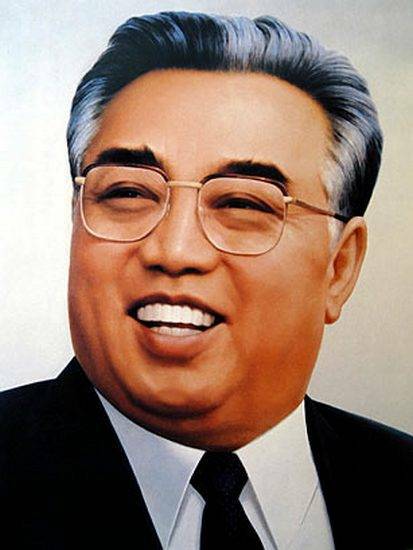 Kim Il-sung was the ruler of North Korea, officially the Democratic People’s Republic of Korea, from its establishment in 1948 until his death in 1994. He held the posts of Prime Minister from 1948 to 1972 and President from 1972 to his death. He was also the leader of the Workers’ Party of Korea from 1949 to 1994 (titled as chairman from 1949 to 1966 and as general secretary after 1966). His tenure as leader of North Korea has often been described as autocratic, and he established an all-pervasive cult of personality. From the mid-1960s, he promoted his self-developed Juche variant of communist national organization. In the Library of Congress Country Study on North Korea in 2009, he was described as “one of the most intriguing figures of the twentieth century”. He outlived Joseph Stalin by four decades, Mao Zedong by two, and remained in power during the terms of office of six South Korean presidents, 7 Soviet leaders, ten U.S. presidents, and twenty-one Japanese prime ministers. 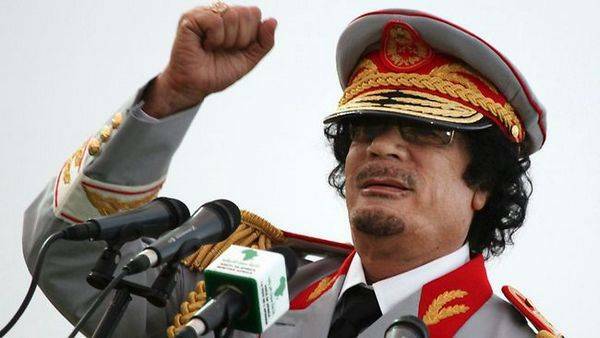 Muammar Muhammad Abu Minyar al-Gaddafi, commonly known as Muammar Gaddafi or Colonel Gaddafi, was the official ruler of the Libyan Arab Republic from 1969 to 1977 and then the “Brother Leader” of the Libyan Arab Jamahiriya from 1977 to 2011. Gaddafi seized power in a bloodless military coup in 1969 and served as the country’s head of state until 1977, when he stepped down from his official executive role as Chairman of the Revolutionary Command Council of Libya, and claimed subsequently to be merely a symbolic figurehead. He styled himself as “Leader of the Revolution”; in 2008 a meeting of traditional African rulers bestowed on him the title “King of Kings”. A leading advocate for a United States of Africa, he served as Chairperson of the African Union (AU) from 2 February 2009 to 31 January 2010. 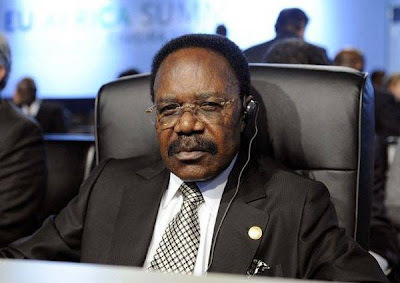 Omar Bongo was promoted to key positions as a young official under Gabon’s first President Leon M’ba in the 1960s, before being elevated to Vice-President from 1966 to 1967, eventually succeeding M’ba to become Gabon’s second President upon the latter’s death in 1967. Bongo headed the single-party regime of the Gabonese Democratic Party (PDG) until 1990, when he was forced to introduce multi-party politics in Gabon in the face of great public pressure. He then survived intense opposition to his rule in the early 1990s, succeeding in consolidating power again mainly by bringing most of the major opposition leaders of the 1990s over to his side. He was re-elected in extremely controversial 1993 presidential election, and again in the subsequent elections of 1998 and 2005, with his respective majorities increasing and the opposition becoming more subdued on each election. After Cuban President Fidel Castro stepped down in February 2008, Bongo became the world’s longest-serving non-monarch ruler. He is still one of the longest serving rulers in history. 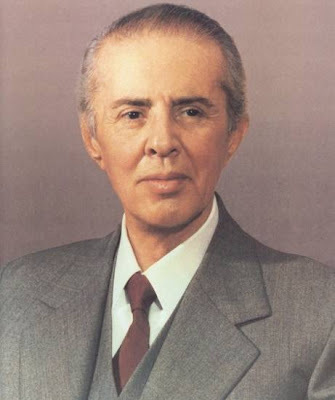 Enver Hoxha was the leader of Albania from the end of World War II until his death in 1985, as the First Secretary of the Party of Labour of Albania. He also served as Prime Minister of Albania from 1944 to 1954, Minister of Defence, Minister of Foreign Affairs, Chairman of the Democratic Front from 1945 to his death, and as Commander-in-Chief of the Albanian armed forces from 1944 to his death. Hoxha’s leadership was characterized by his proclaimed firm adherence to anti-revisionist Marxism–Leninism from the mid-1970s onwards. After his break with Maoism in the 1976–1978 period, numerous Maoist parties declared themselves Hoxhaist. The International Conference of Marxist–Leninist Parties and Organizations (Unity & Struggle) is the most well known collection of these parties today. Francisco Franco y Bahamonde, better known under the name of Franco, was a Spanish general, dictator and the leader of the Nationalist military rebellion in the Spanish Civil War, and totalitarianhead of state of Spain, from October 1936 until his death in November 1975. He came to power while recognizing the principles of the far-right Falange movement, although this was for propaganda reasons, as he belonged to no political party before becoming Head of State. 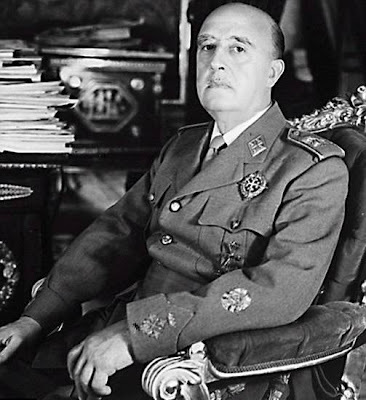 As head of state, Franco used the titles Caudillo de España and Generalísimo, but also was called formally as His Excellency, The Head of State. General Gnassingbé Eyadéma was the President of Togo from 1967 until his death in 2005. He participated in two successful military coups, in January 1963 and January 1967, and became President on April 14, 1967. 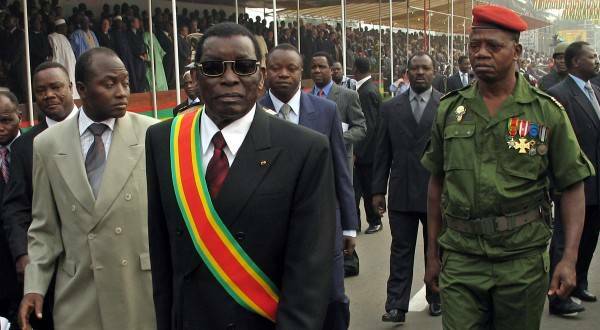 As President, he created a political party, the Rally of the Togolese People (RPT), and headed a single-party regime until the early 1990s, when reforms leading to multiparty elections began. Although his power was seriously challenged by the events of the early 1990s, he ultimately consolidated power again and won multiparty presidential elections in 1993, 1998, and 2003; the opposition boycotted the 1993 election and denounced the 1998 and 2003 election results as fraudulent. At the time of his death, Eyadéma was the longest-serving ruler in Africa. Paul Biya is a Cameroonian politician who has been the President of Cameroon since 6 November 1982. A native of Cameroon’s south, Biya rose rapidly as a bureaucrat under President Ahmadou Ahidjo in the 1960s, serving as Secretary-General of the Presidency from 1968 to 1975 and then as Prime Minister of Cameroon from 1975 to 1982. He succeeded Ahidjo as President upon the latter’s surprise resignation in 1982 and consolidated power in a 1983–1984 power struggle with his predecessor. 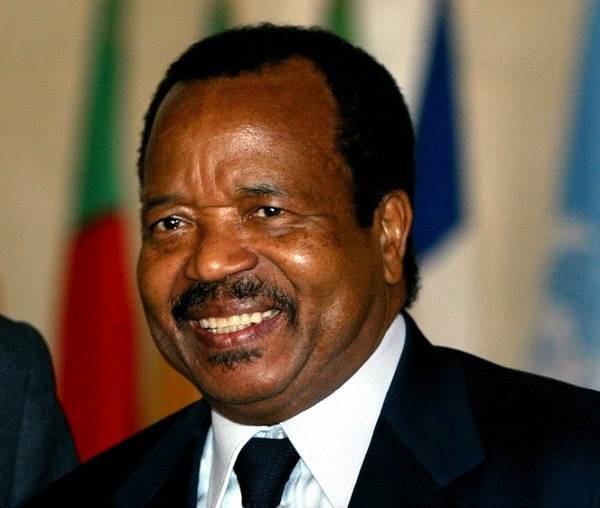 Biya has maintained Cameroon’s close relationship with France, Cameroon’s former colonial ruler. Marshal Josip Broz Tito was a Yugoslav revolutionary and statesman, serving in various roles from 1945 until his death in 1980. 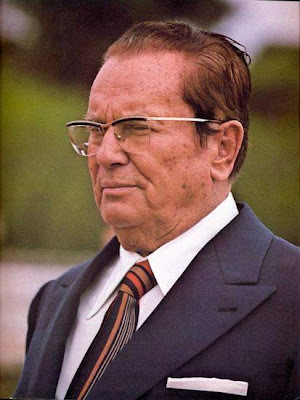 While his presidency has been criticized as authoritarian, due to his successful economic and diplomatic policies, Tito was seen by most as a benevolent dictator, and was a popular public figure both in Yugoslavia and abroad. Viewed as a unifying symbol, his internal policies successfully maintained the peaceful coexistence of the nations of the Yugoslav federation. He gained international attention as the chief leader of the Non-Aligned Movement, working with Jawaharlal Nehru of India and Gamal Abdel Nasser of Egypt.